Some of Toronto’s hydro corridors could be yielding fruit and vegetable crops in time for next year’s harvest as a fresh pilot project plants roots. Plans for four market gardens–a cross between a farmer’s market and a community garden–are sprouting through a collaborative effort between the City and Toronto Urban Growers, a local urban-agriculture group. “There’s a real shortage of land in the city for growing food on, and a lot of people looked at the hydro corridors and thought that they could be repositioned for the purpose of growing food and for educating people on where food comes from,” says James Kuhns, co-coordinator of Toronto Urban Growers. The idea has been kicking around for some time. In 2012, the City published the GrowTO action plan, on which Toronto Urban Growers acted as consultants. That plan looked at ways to spur urban agriculture in Toronto. Working with Hydro One to free up more land was on the to-do list. 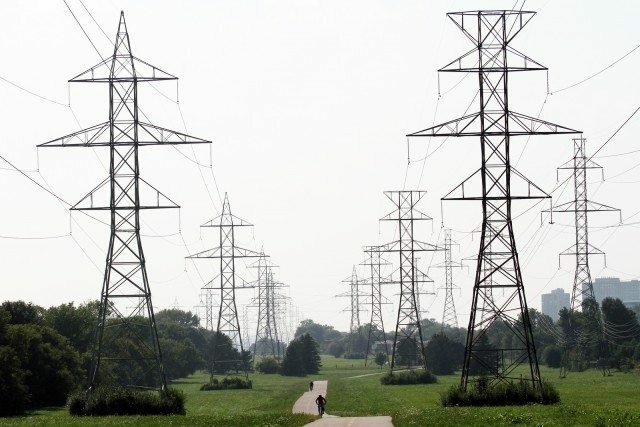 Currently, the City has a license with Hydro One giving the municipality access to about 750 acres of the utility company’s corridor land to use for things like trails, pedestrian walkways, and gardens. Of the proposed pilot sites, Flemingdon Park and Taylor Massey already fall under this license. The other two, Morningside Heights and Rexdale between Queens Plate Drive and Flagstaff Park, would be added later. Unlike the 64 existing free community gardens and 12 outdoor allotment gardens–the latter give local green thumbs the chance to rent out small private plots for about $80 annually–which the City has set up, these new market gardens have a sales angle. The hope now, especially given all the sites recently passing soil and electromagnetic tests, is that this project could go a ways towards increasing the availability of healthy, affordable food, albeit on a relatively small scale (each of the gardens will range from just one to three acres). “There is a need across the city in a number of neighbourhoods for access to more healthy and affordable local foods, so it’s gonna be helping to support that need,” says Campbell. Meanwhile, beautification is yet another of the pilot project’s goals. The CEED gardens won’t appear as stark soil plots cordoned off by chicken wire. Rather, they will include lush pollinator gardens that will attract helpful bees and butterflies to pollinate the gardens’ plants while they also improve the looks of the underused corridors. “When (people) come by they’re gonna see a beautiful green space, they’re not gonna see a messy farm,” explains Teitel-Payne. However, before soil can be broken and seeds planted, a number of things still have to happen. Next week, Toronto Urban Growers, the City, and four local agencies that are lending a hand with the pilot sites will meet to further plot the future of the gardens. After that, there’s a round of community consultations to be had, and of course, there’s the issue of cost for both materials and, most importantly, the land itself.